Categories: Music, Prayers, Sri Ramakrishna Paramahamsa, Sri Swamiji's Kirtans. 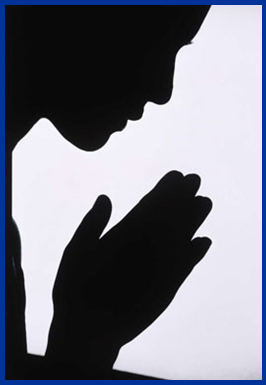 Mahans show us how to pray and what to pray for, through their various compositions. We recently started this prayer series in which we look at the beautiful, heartfelt prayer compositions of Sri Swamiji. Last month, we saw a song in which Sri Swamiji prayed for a simple, elegant and pure life filled with bhakti. This month, we look at a composition that elaborates this life further. Our Vedas are said to describe the omnipresent, omniscient, omnipotent Supreme Brahman (impersonal form of God) using the “neti” philosophy. “Neti” is a Sanskrit term that means, “this is not it”. As the qualities of the Supreme Brahman cannot be described words, our Vedas resort to expounding on what is not the all-pervading Supreme Brahman. Similarly, in this composition, “Pavithramai Vazhndida” in Tamil, set in Punnagavarali raga and Adi tala, Sri Swamiji prays to Mother Radha for a pure life and describes a “pure” life by listing all the impurities of the world like anger, desire, lies, deceit and so on, that he needs to be protected from. It is a beautiful song that teaches us how some of our basic tendencies like materialistic pleasures, anger, jealousy and greed drag us away from the path of righteousness and purity. Notice the beautifully apt usage of words here to describe the quality of each of the impurities. For example, he refers to worry and sorrow as dhoosu (dust), that can simply be ‘dusted off’, while greed is referred to as seru (deep mud/mire) that is harder to remove, lust/anger are theettu (those that truly pollute our minds), and lies/deception is a naattram (stench)! The complete lyrics and the meaning of the song are presented here for you to read and enjoy. (O Mother Radha) Bestow me a boon to lead a pure life! May I not be touched by the dirt of worldly pleasures! May I not be tainted by worldly attachments! Let anger and lust not pollute me! Let not the stench of lies and deception affect me! Let not the mire of greed stain me! Let not the dust of worry and sorrow impact me! Oh Mother Radha, Kindly protect me!